The work that the Building Industry Group (PAC) does allows you to successfully run your business. We are the political voice from the construction industry and we work to create a business-friendly environment by supporting candidates for office that are advocates for housing. 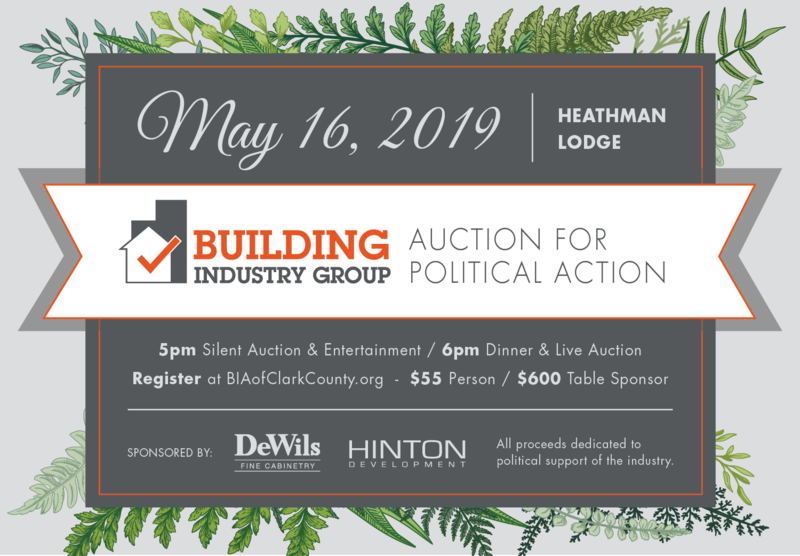 In order for our industry to throw our combined weight behind impactful leaders, we need to collectively contribute to the annual fundraising effort–aptly named the Auction for Political Action. With your support we will continue to be impact players in the upcoming election! To contribute to a silent auction item or pay online for your sponsorship, click on the REGISTER button below to access the payment form.